Porsche sports cars were among more than 2,000 vehicles that sank with an Italian cargo ship off France's Atlantic coast, it's emerged. They included some of the exclusive 911 GT2 RS models, which were on their way to customers in Brazil when the accident happened. The ship, called Grande America, capsized near La Rochelle last week en route from Hamburg to Casablanca before heading to Brazil. It saw a reported 2,200 tonnes of fuel dumped into the water and sparked fears of an oil slick hitting the French coast. Porsche has since written to customers in Brazil and said it will resume production of the 911 GT2 RS in light of the incident. “We are sorry to inform you that, due to a fire, a Grimaldi group ship, that was transporting your vehicle, sunk on March 12, 2019. And for that reason, your GT2 RS cannot be delivered,” the letter read. The circulating letter went on to say that under normal circumstances, it wouldn’t be possible to replace an out-of-production car but due to the nature of the situation, Porsche had decided to resume the GT2 RS production in Germany. The letter encouraged customers that the vehicle will be produced in April, with delivery to Brazil scheduled for June. Audi Brazil has also said Grande America was carrying a number of A3, A5, Q7, RS4, and RS5 models. Grande America caught fire on March 10 and was also carrying 365 containers, of which 45 contained material deemed to be hazardous, including 10 tonnes of hydrochloric acid and 70 tonnes of sulfuric acid. 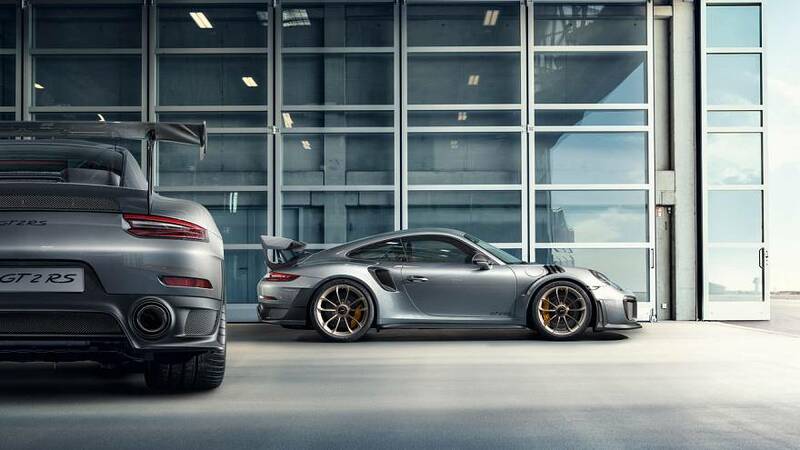 Porsche hails the GT2 RS as their most powerful 911 model yet and is built with the performance of a super sports car. The GT2 RS is based on the 911 Turbo and uses a similar twin-turbocharged engine, however, the car features numerous upgrades, including engine upgrades, larger brakes, and stiffer suspension calibration. GT2s are also lighter than the Turbo because of its rear-wheel-drive instead of all-wheel-drive as well as having less interior components. GT2 RS holds the Porsche title as the most expensive and fastest model among the 911 lineup with a 0-97 km/h time of 2.7 seconds. Brand new models of the GT2 are generally difficult to find and even slightly used models will cost the customer. Porsche Mayfair in London says they only have one approved model 911 GT2 RS in stock which costs £229,000 (€267,000).